NaNoWriMo 2013: Want to Write a Novel?. Well, this story here is very unusual (ingenious!) and I thought for sure that it was of the paranormal genre. Later on I discovered it is more of angst type. Probably one of the firsts of its kind that I read *shoulder shrug, but that doesn’t really take away any of its charm. The story is about Zip (girl from the small town who is great in sports, great in academics and has her own circle of true friends) who meets transferee Kieran (who suffers from narcolepsy). The story is mostly focused on the development of their budding relationship with a background of Kieran’s mystery illness and family history. Not much but hey! its nice. This is very reality based and could be very well attested by research from the narcolepsy to the basketball sport. The characters though are flat, and details are spoon fed but I do appreciate their personalities, they are so cute! The development of romance and plot are pretty slow and to think that I am almost three-fourths of the book when the story started picking up to the action part. There was no thrill of sorts that make your heart go pound. The thought of ‘what could happen next?’ Or ‘what would the story twist into?’ didn’t even cross my mind. The book just held onto my curiosity to finish without tickling my brain into action or my heart into feeling. The plus side is that I got to finish the story without stopping and did not expect anything so I wasn’t disappointed in everything. The story is also very straightforward. There is also the part where there is no force that disrupts the romance. Hahaha. Yeah sorta weird read in a good way in the sense that most of the books under YA (but not all!) revolve around forbidden love and love quarrels so this is a breath of fresh air. Cover. Check. Title. Check. Content. Check. Check. Remember the time in English class where you need to make a story? It was never recommended to use the first person’s point of view. In fact, it is said to be lame. But those who said so should be fired and shut downed because this book just made it to the list of bestsellers using a first person’s point of view. Rick Riordan finally broke the status quo once again with another book bound to make you regret buying the other one. 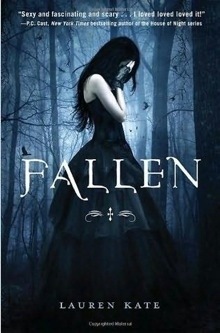 Riordan wrote about Greek and Roman gods when the people are demanding vampire and werewolf paranormal romance and his books were neck to neck with others in the list in a different genre. Sibling relationship is now in with him and just a bit of romance to keep the readers thirsty. Twists and turns and a whole of unspoken promises are sure to surprise you by the time you read the book. Seriously though, you should read it. I mean, yeah, it’s not the first of its kind to use a first person’s view nor is it the original in using siblings as the main character. But his books are always a good read and he has never let down on expectations, he just exceeds them. His new series Kane Chronicles has such a divine starting point in the form of the first book, The Red Pyramid. The Red Pyramid might not be too smooth or too sassy or interesting compared to others, but it shows promises and thrills enough to make you want to buy the next one. The introduction might be too much and too flashy but it serves purpose and justice to the content. After all, it is from a different perspective. The ending comes abrupt to you as the story is so-called ‘narrated from a digital recording’ and it’s a bummer that you know they get to do another adventure giving off the ‘suspense’ vibes to future events. With a very distinguishable uniqueness, its flair comes from its unusual sense of magic and history from Egypt. Carter and Sadie are at stand-offs, not very much surprising given their experience of growing up. The story is on a neutral base but readers are seemed to be more or less forced to pick a side ( I’m on carter’s …or maybe Sadie’s). Most of the story is based on fact (yeah, I know… I did some research) but it is not at all boring or geeky. Maybe it is a bit geeky, but in a nice way. It’s actually nice to enjoy reading a book while picking up some random facts about Egypt from it. 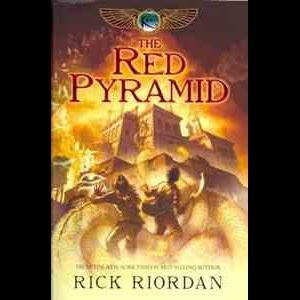 The book may be overshadowed by the past series of Percy Jackson and the Olympians but red Pyramid is sure to make you feel like embarking on your own adventure. The book is a hit so save some pocket money and be sure to buy a copy ASAP. Two thumbs up to Rick Riordan! I have forgotten how many others had stepped over me, hurt me, stomped on my pride, pushed me around and pissed me off. But they are all part of my past and serves as a reminder to me that I should forgive and forget. Just think of the lost relationship if I never forgave them and to think that all those that I forgave now have a special bond with me. In fairness, some of them became my best friends and made a change for the better. But not all of us can forgive and forget easily so hear are some things to put into mind when you’re in a sticky situation. There are some times that you catch glimpses or bits of conversation (especially when eavesdropping or stalking) that may affect you and your mood. But you should never get angry at the people you heard or saw because you don’t know the whole story.Better yet wait for them to tell you or if you’re really impatient, you can approach them ( in a nice way of course). Forgive people, even if they don’t apologize, then seek revenge in the bitterest way possible. (muhahaha!) The best revenge is to show to the person who hurt you that you are and will not be affected in any way that will make her happy. Act as if being hurt is the best experience ever and most often than not, it drives your enemies crazy ’cause they can’t affect you! Sometimes we are affected too much by our emotions and this hinders us from thinking logically. Give yourself time to cool off, then try looking back to the past events. Anyway, this is just a part of your life, just another challenge to pass but your decisions will be forever. Generally, the rule is good triumphs over evil so forgiving is more divine so basically you’re doing the right thing. Don’t ever lose sight of the bigger picture. If you never forgave your friends, what would be its consequences. Bonds of friendships are thicker than water and this is just a test of friendship. Holding unto grudges will only cause both parties pain. Better yet, have closure and talk with each other. That way, the both of you will understand each other. You also won’t be able to think if you’re in pain. —> the bold letters above explains itself as to why and how to forgive. As they always say, time heals all wounds. If you really can’t find it in your heart, mind and whole body to forgive, try searching again tomorrow, or the next day. There will always be a reason (or none) to forgive somebody. I just wanted to give advice, that the sooner you forgive, the better. even if there are no connections to anything about forgiveness, what’s important is that you did the right thing. I know that the right thing is almost always the hardest thing to do but it just shows that those who forgive their friends and enemies are the strongest among us all.